At Lindus Construction, some of our favorite Minnesota remodeling projects have been completed on historic homes. While challenging at times because of components that cannot be fully understood until after demolition has been completed, the end result gives our team a true sense of accomplishment. Many times, the work that must be done is substantial and must be completed in phases. In Adam’s case, the first time we worked on his 1880’s home, it was shortly after he’d purchased it. At that time, the top priorities were a new asphalt roof, soffit & fascia, and gutters. 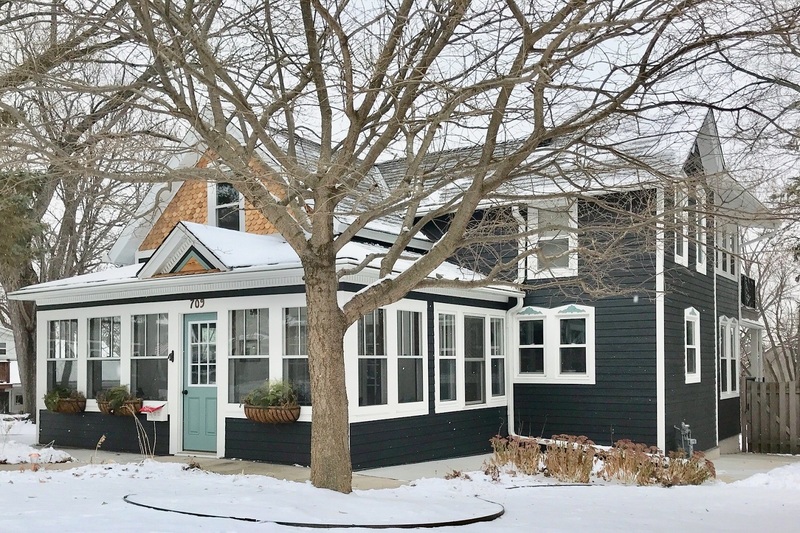 Once those projects were completed, Adam and Erin sought our advice for how to best approach the next exterior renovations on his list. 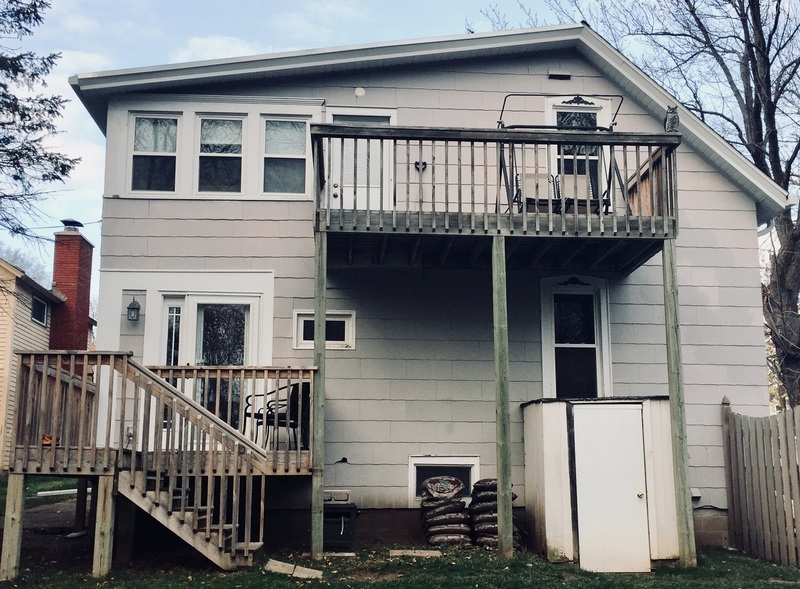 The siding on his home and garage had become discolored due to age, one of the most obvious signs that siding has reached the end of its lifespan. The two wooden decks on the back of the house were undersized and weathered. Three of the home’s windows were underperforming. A flat section of the roof was prone to ice damming and the couple wanted a permanent fix. Here are the solutions we offered Adam and Erin to help them on their quest to restore their historic home’s exterior. Siding: Siding installation on a historic home presents a unique challenge. In many cases, there are multiple layers and the likelihood of finding asbestos is high. Such was the case with Adam and Erin’s home. This meant that additional precautionary measures were needed during the tear-off process to keep our installers safe. It is imperative that type of house siding and color pair well with the home’s architecture. For this project, 5” lap LP® SmartSide® in a custom selected color was the perfect fit. Blue tones were commonplace on historic homes and the utilization of a dark custom color worked well to produce a modern effect, while still respecting the home’s architectural style. LP® trim products were used to recreate the window details. 7” Cedar scalloped shakes on the home and garage’s gables added interest and provided a nod to the home’s history. Adam added to the detail by hand cutting each of the scroll details above windows. Windows: Home siding projects present the perfect time to evaluate the current quality of the house’s windows. Replacing windows in tandem with siding can actually be a more cost effective approach because the caulking and sealing of window openings happens only once, making the process less labor intensive. There were three windows in Adam and Erin’s home that had lackluster looks and subpar energy efficiency. In the basement, we installed two SeasonGuard awning windows. Hinged at the top, they offer expanded ventilation, making them ideal for basement installation. In one of the home’s bathrooms, we replaced the glass block windows with a double hung window. They have top-tier energy efficiency because of their triple weatherstripping. Metal Roofing & Insulation: A resounding theme from surrounding historic homes is that the insulation often needs improvement. Our team had plans to remove the home’s preexisting 1/12 pitched rubber portion of the roof because ice dams and leaking was commonplace in that section of the home. Once the roof had been removed, we were able to evaluate the insulation which had been previously inaccessible. Adam and Erin’s complaints of extreme temperature swings in that area of the home were not without warrant. In fact, our team uncovered an entire cavity where insulation had been missed completely. 4” of closed cell foam insulation was sprayed in to reach an R28 value over the previous R5. 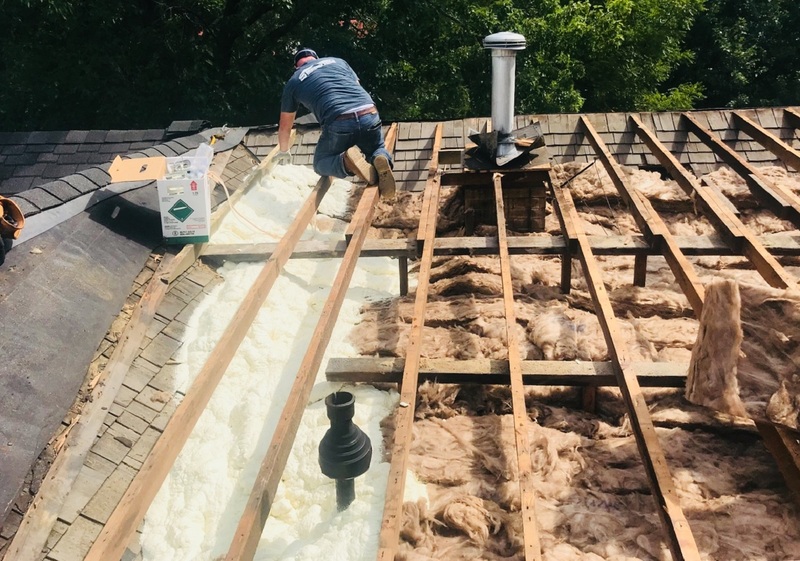 After new insulation had been installed, an Englert seamer panel steel roof was installed on that section of the home to prevent any future leaking. The homeowners reported to us that these improvements have not only added to the overall comfort of their home, but have saved them an average of $150 on their home’s utility bill each month. Decking: The back of the home had two separate small wooden decks. One acted as an entry point to the back door and the other served as a walk-out from one of the home’s bedrooms. Both were small, wooden, on the same side of the house, but on different levels. He asked for our input on composite deck designs that would work well with his home’s current layout. Our advice was to expand the footprint of the decks in order to make decks more usable and add aesthetic appeal to the home. In terms of material, we felt strongly that Zuri® Premium Decking was the right fit. The deck boards replicate the aesthetics of exotic wood and have built-in UV light-resisting technology that allows it to maintain its aesthetics for years to come. Lauded for its durability, Zuri® decking is the ideal material for high traffic areas, like home entrances. 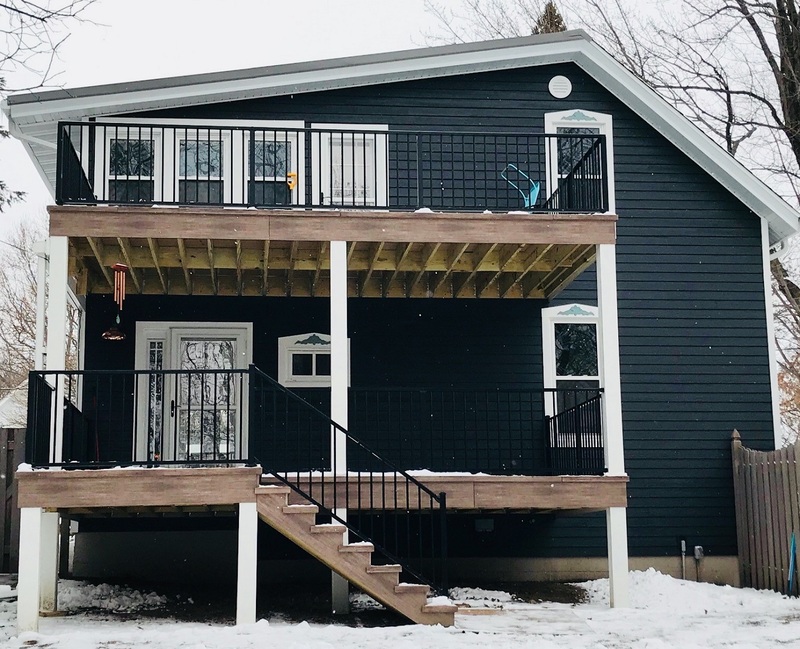 Black maintenance-free aluminum railings completed the look. Here's why we felt confident offering GAF Glenwood Lifetime Designer Shingles & LeafGuard® Brand Gutters to these Afton, MN homeowners. At times, Bill had considered purchasing a vacation home but ultimately decided to make his primary residence the sanctuary he desired. Get details on how we infused the ambiance of a modern rustic lodge in his home's great room. 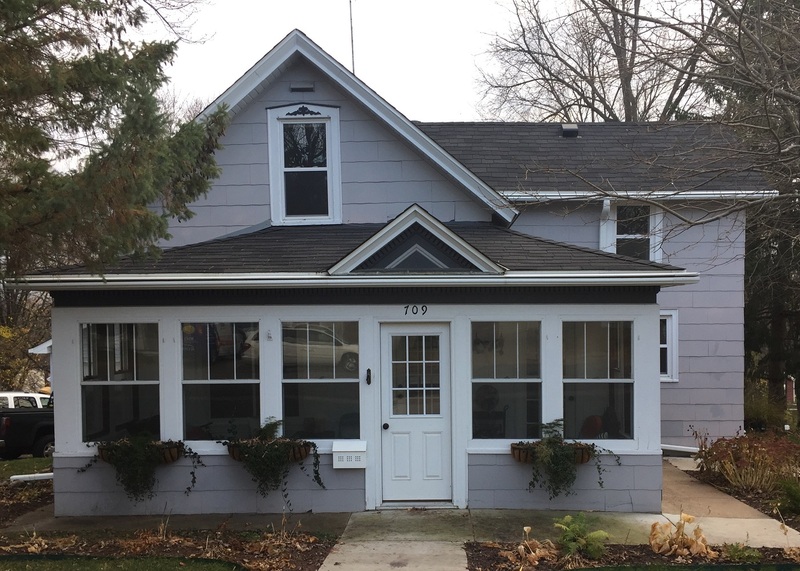 "After having LeafGuard® gutters installed by Lindus a few years ago we suffered hail damage in 2017 and went to Lindus not only for the gutter replacement but also for the re-roof. While re-roofing they identified and replaced several panels of plywood roof sheathing which over time had de-laminated. Beautiful job, thorough clean-up. Since we went with LeafGuard®, we have not had any problems with leaves, pine needles and "helicopters" which previously filled and clogged our gutters." - Jerry H.
"Everything was good!" - Lori L.
"Great communication skills. The work was done on time as promised. Excellent workmanship. Great people to work with." - Leslie D.
"We had LeafGuard® Gutters installed. Everything was excellent, sales and installation." - Craig B. "They did it in a very timely manner. They were polite. The work looks excellent." - Terry Q.